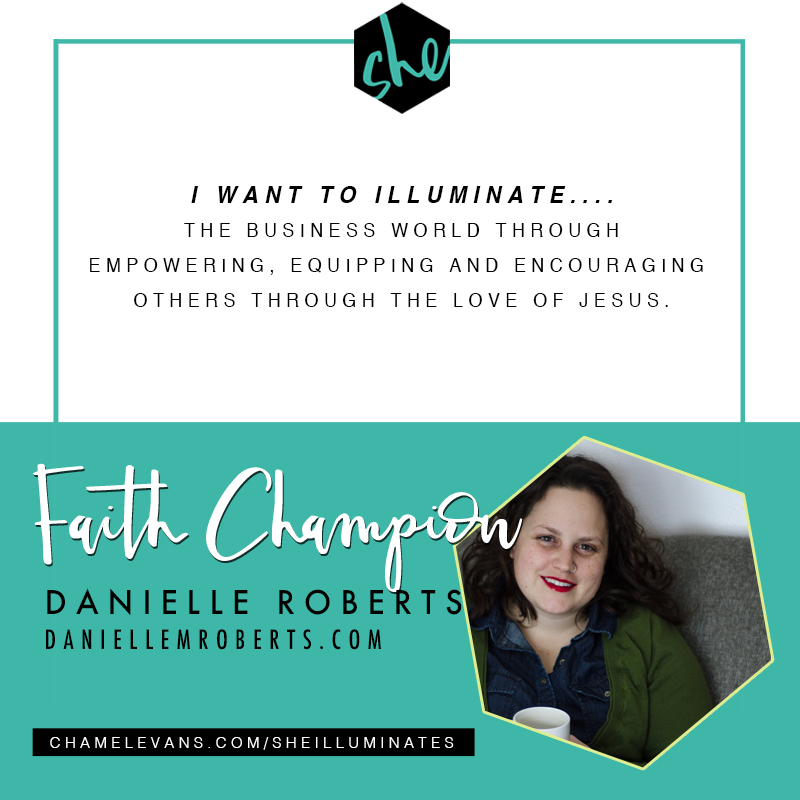 Danielle Roberts is an Accountability Coach for Christian business owners, Author of the devotional for business owners called Created for This, Speaker, Podcaster and Youtuber. Equipping empowering and encouraging women has been her passion since she was young. She and her husband have been married for eight years and have four beautiful kids. She loves Jesus, coffee, teaching about healthy living through essential oils, and dates with her hubby. My brand vision is to equip, empower, and encourage women to thrive at home and in business. This is only truly possible through a relationship with Jesus. Brand values are authenticity, and integrity. It's in everything I do. I speak about my faith in social media and on my podcast. I have faith values that are staples in both my life and my brand. I live out my faith in every day life through words and actions. It's got great ideas on how to live a life devoted to God. Do justice, love mercy, walk humbly with God. What does sheilluminates mean to you/your daily walk? Not being ashamed to share Jesus unapologetically. The business world is great, but not everyone has a good opinion of Jesus. I want to shine in the darkness and sometimes that feels like taking a huge leap of faith. My devotional for business owners - Created for This: Digging deep in God's world while you grow in your faith and business.